Books, websites and more on accountability. 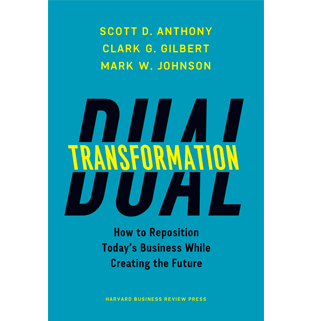 Dual Transformation: How to Reposition Today’s Business While Creating the Future by Scott D. Anthony, Clark G. Gilbert and Mark W. Johnson. Harvard Business Review Press, 2017. The key is for companies to leverage their strongest skill set to both present a fundamental product/service in a new light and add to the company’s core by entering a new market. Co-author Scott Anthony admits that not all companies can pull this trick off. But they must try. 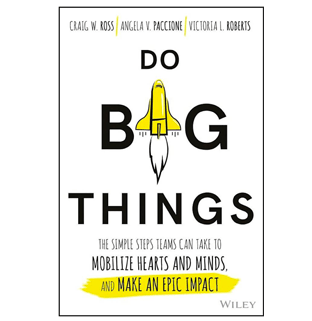 Do Big Things: The Simple Steps Teams Can Take to Mobilize Hearts and Minds, and Make an Epic Impact by Craig W. Ross, Angela V. Paccione and Victoria L. Roberts. Wiley, 2017. The problem with modern businesses, say the authors of Do Big Things, is that they focus too much on what they want to accomplish and too little on how they are going to accomplish those goals. Employees are assigned to tackle these objectives without the proper resources and are expected to hit these targets on time. To help companies change their mindset and set up teams for success, Do Big Things outlines seven steps. These include building trust among individual team members and understanding what circumstances are within the team’s control. Expect to learn how to assemble a high-functioning team that can roll with the punches and make the best of its talents. 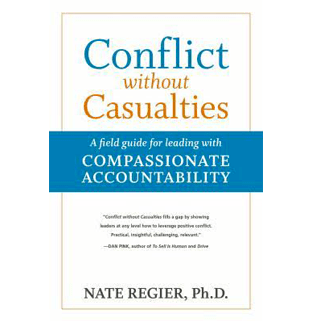 Conflict Without Casualties: A Field Guide for Leading With Compassionate Accountability by Nate Regier, Ph.D. Berrett-Koehler, 2017. Businesses are facing a global energy crisis but not in the way you think, says Nate Regier, Ph.D. The psychologist is talking about the energy produced via conflict. Usually seen as a problem, this energy can be a force for creativity and productivity, Dr. Regier argues. It starts, he says, with compassionate accountability: holding people, including yourself, accountable while preserving one’s dignity. Conflict Without Casualties introduces the “compassion cycle,” a strategy to help leaders make drama productive. It hinges on openness, resourcefulness and persistence. At the surface, the approach may seem like common knowledge, but the reminder of how to practice this at the leadership level can lead to a stronger company.